Rain’s father has to go on a research trip, so Rain goes to her grandmother’s in London for the summer. She finds an old diary and discovers her mother was pregnant with her when she was her age, sixteen – she discovers how scared and confused and happy her mum was at the time. 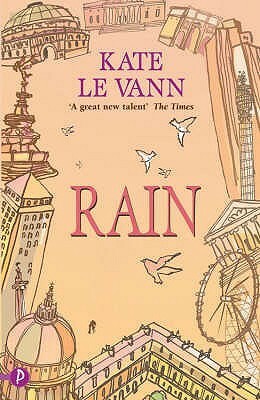 Rain retraces the places that her mother went with a boy who is helping her grandmother re-decorate – Harry. And having started out being very spiky with each other, they fall in love. This is an intergenerational story of exploring how women feel many of the same things – from mad, joyful love to not having a clue what they’re doing, And also the moment in every girl’s life when she leaves behind the safety of her parents. Rain is on our UKYA Top 100 list. Categories: England, London, Romance, Social/Family | Tags: Kate le Vann | Permalink.